We’ve gone crazy for their pop stars, binge watched their dramas and now, we’re obsessed with their snacks. Here are the tastiest Korean snacks you can get in Singapore. $2.60, Available at Shine Korea Supermarket. 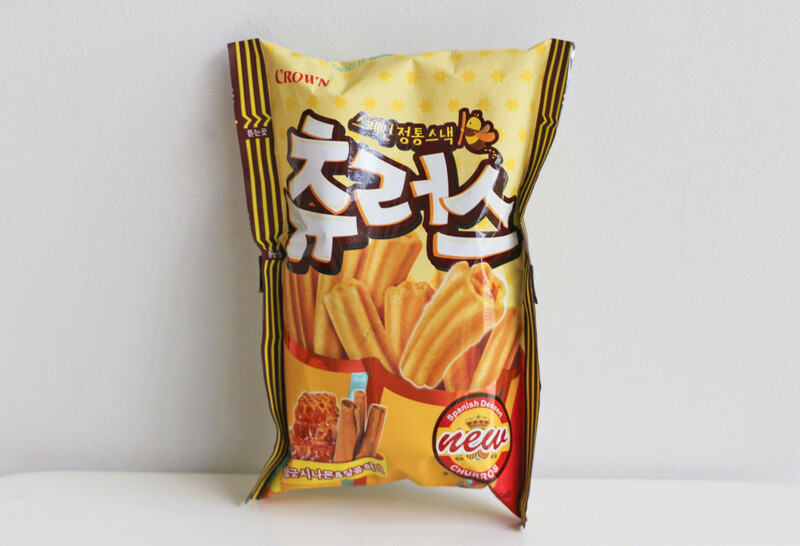 Koreans went crazy for Honey Butter chips last year (to the point where there was even a black market for it), so it’s no surprise that Haitai (the original company that makes Honey Butter Chips) produced another variant of the popular snack. Blasphemous as it may be, I have to admit that I much prefer Honey Tong Tong over the original Honey Butter Chips. 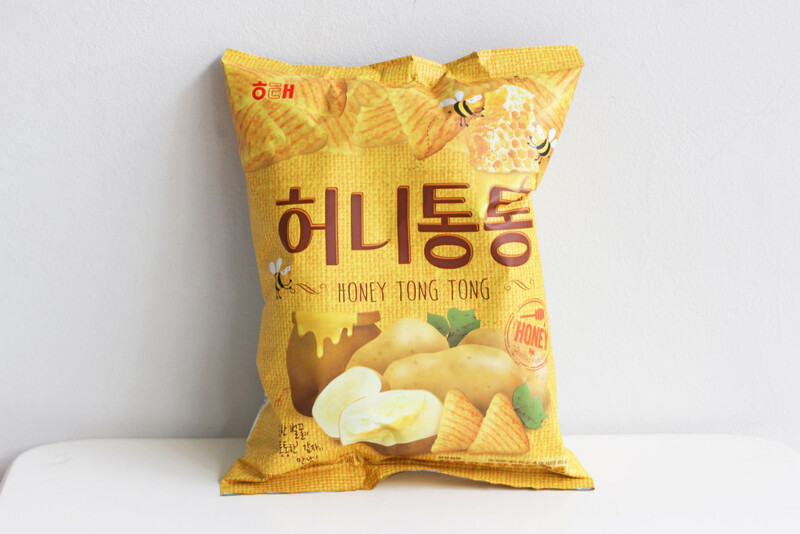 The texture and flavour of the Honey Tong Tong chips are lighter, so you don’t get that sickly oh-God-what-have-I-just-done feeling after eating it in large quantities (which you might, just sayin’). Instead of honey-glazed potato chips, Honey Tong Tong has corn/rice puffs that are coated with a light, honey butter seasoning. You would think that anything honey butter would be cloyingly sweet, but these chips are surprisingly a mix of sweet and savoury. If you’re the kind of person who likes getting mixed popcorn at the cinema, Honey Tong Tong is right up your alley. Also, I can’t speak for other places but the Honey Tong Tong was readily available at Shine Korea Supermarket at Bras Basah Complex. No need to bid for them in the black market and/or sell your soul for a bag. $2.20, Available at Shine Korea Supermarket. I’ve never quite come across a snack version of churros, but trust the Koreans to come up with one – and make it a hit too. Crown Churros Honey Cinnamon is the next best thing to getting fresh churros. 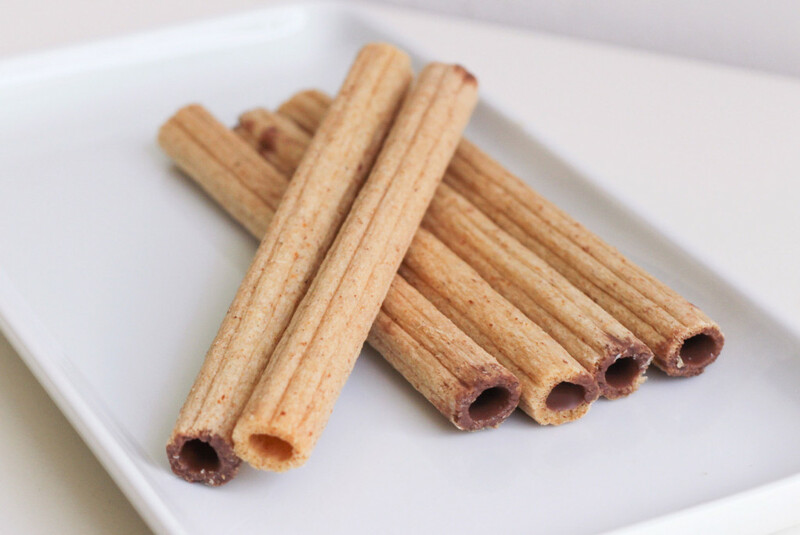 Although it doesn’t have the same chewy, bread-like texture as real churros, these crunchy snacks almost taste the same. It helps that each piece is generously coated with cinnamon sugar, I guess. 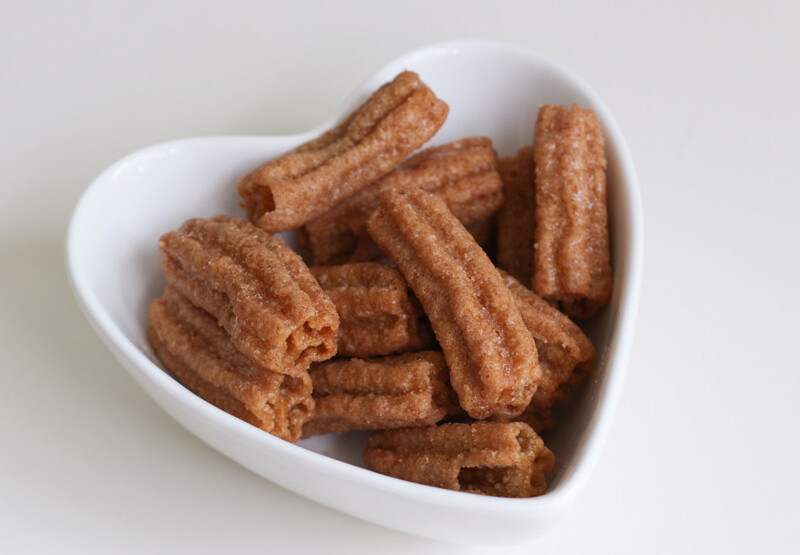 While I’m all for indulging in snacks (#YOLO am I right), these churros can be a bit much if consumed in large portions. With all that cinnamon sugar, they aren’t exactly a light snack if you know what I mean. Stick to a handful of pieces in one sitting and you’ll be all good. Besides, didn’t your momma ever tell you that too much sugar is bad for your teeth? $1.30, Available at Shine Korea Supermarket. 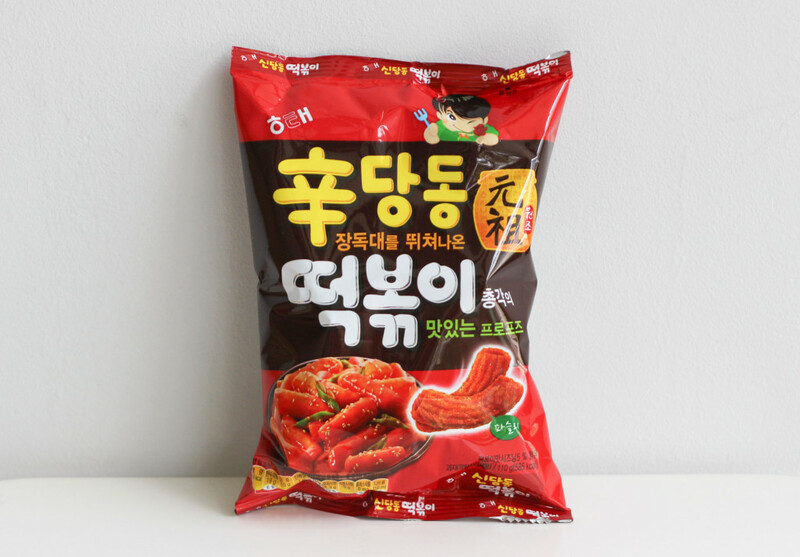 I’m not usually a fan of anything spicy (I know, I know I’m a terrible Singaporean) but these Tteokbokki-flavoured snacks are actually a mix of sweet and spicy. If you didn’t already know, Tteokbokki (or dukbokki) is a type of Korean rice cake with sweet chilli sauce. Just watch any modern-day Korean drama, and there will likely be a scene where someone is eating Tteokbokki over soju, while pining over unrequited love. Haitai’s ShinDangDong Tteokbokki Snack is an interesting take on the popular Korean dish – sort of like a crunchier, less savoury version of it, if you will. At first bite the snack is sweet, but the spiciness starts to hit your tastebuds as you munch your way through it. 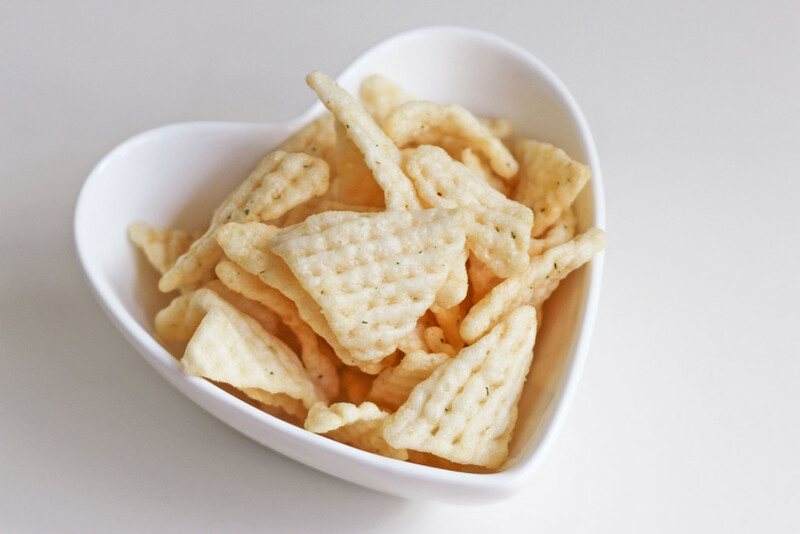 Texture-wise, the chips are quite dense and crunchy, which carry off the strong flavours well. I wouldn’t rate this as one of my all-time favourite snacks (because I generally prefer lighter and sweeter variants) but it definitely leaves an impression. If you like heavier or spicy snacks, these will probably sit better with you. Also, can I just mention that I had to fend off a group of school girls at Shine Korea Supermarket while buying these? They were crowded around these snacks and gave me dirty looks when I reached for a pack. Who knows, maybe some Korean star posted a selfie with it? Better act fast before they get snapped up. $2.50, Available at Shine Korea Supermarket. Compared to the other snacks on this list, Onion Rings may seem somewhat generic. I mean, it’s not like Onion Rings are anything new or special right? Not when it comes to Korean snacks, my friend. I don’t know what sort of voodoo magic seasoning goes into these Calbee Onion Rings, but oh dear Lord I finished the entire bag in a day. 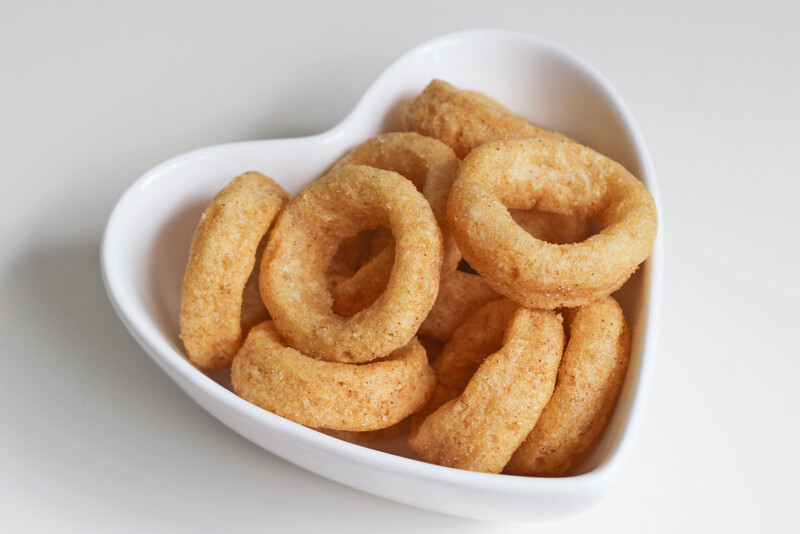 Onion ring-flavoured snacks can sometimes be a bit too oily or salty, but Calbee’s Onion Rings are surprisingly not heavy or oily at all. Each ring of goodness is coated with a light savoury flavouring, with hints of sweetness as you take each bite. The texture of each ring is also what I call “soft crunchy” – has bite, but is still easy to munch on (read: you’re not going to chip a tooth anytime soon). 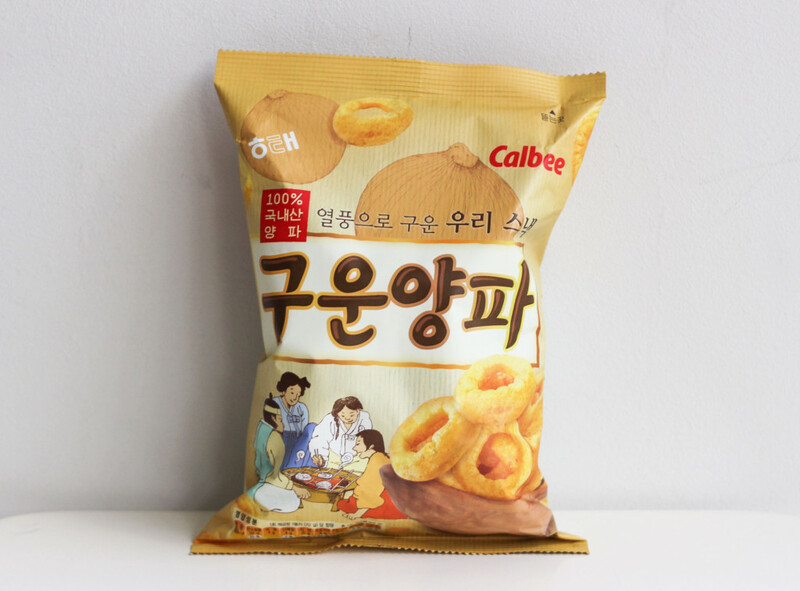 It seems like Calbee only manufactures these Onion Rings for the Korean market, but thankfully you can get them from Korean supermarkets in Singapore like Shine Korea. There are several types of Onion Rings from various Korean manufacturers, but the Calbee brand is one of the best. $1.80, Available at Shine Korea Supermarket. I love both cereal and chocolate, so naturally Orion’s Choco Pop Cereal Sticks caught my eye. Sure, they may not sound or look as Instaworthy as Honey Butter chips, but sometimes it’s the boring-looking snacks that surprise you. 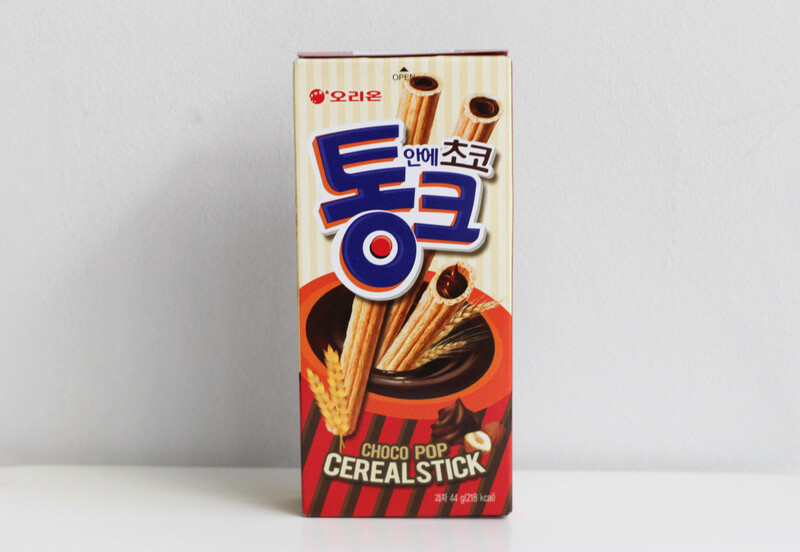 True to its name, these Choco Pop Cereal Sticks taste like…well, cereal and chocolate. Each stick is evenly coated with a layer of chocolate on the inside – so you get an equal mix of comforting cereal and chocolatey goodness with each bite. It’s probably worth mentioning that Orion also makes the popular Choco Pie biscuit, and these are sort of like the lighter, less gelak cousin to those. $2.20 for a pack of 8, Available at Shine Korea Supermarket. 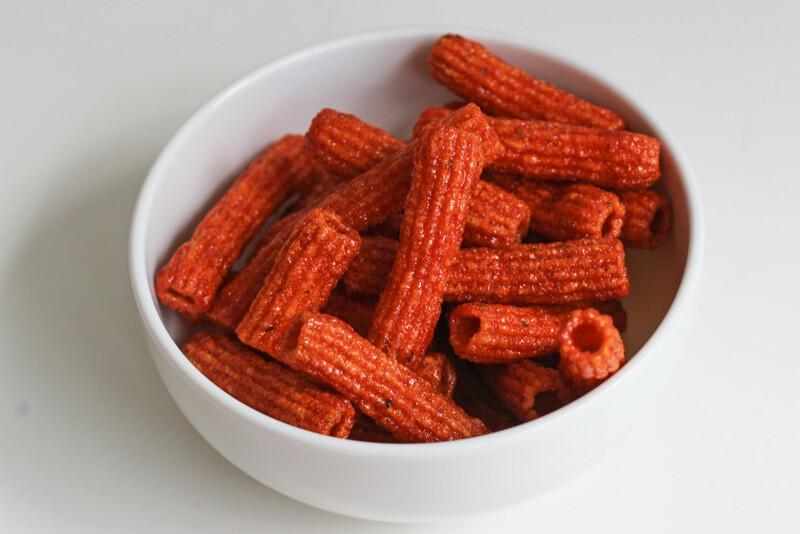 What’s a list about Korean Snacks without everyone’s favourite underrated snack eh? 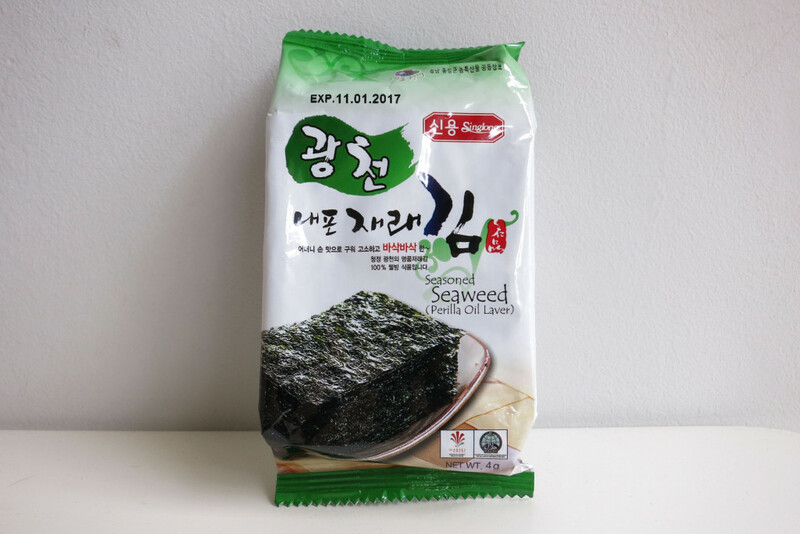 Korean seasoned seaweed may seem common around here, but not all are created equal. In this case, Singlong’s Seasoned Seaweed leads the pack. 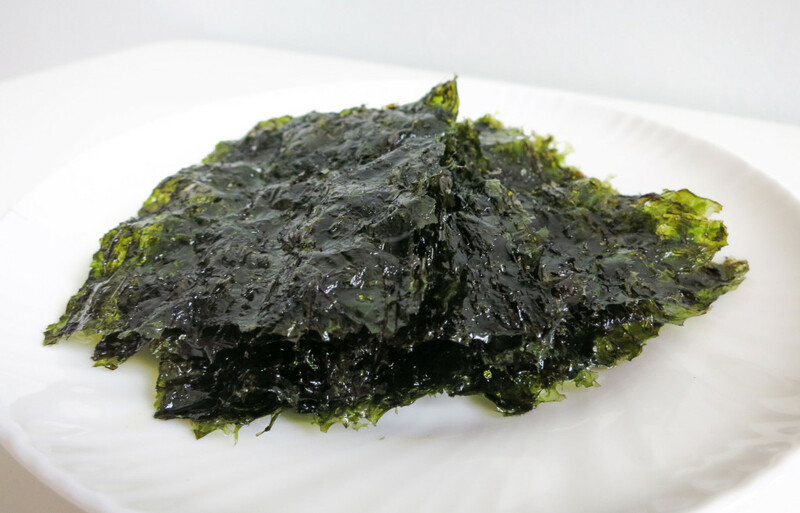 Most seasoned seaweed products either taste too dry and bland, or too oily and salty. Singlong’s version is a nice balance between the two, which is surprisingly rare when it comes to seasoned seaweed. Stash a couple of packs in your kitchen for those late-night Kdrama binge sessions. After all, seaweed is healthy. Right? ?